In any space, roofing has a very important job. 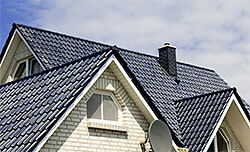 It protects your home from the elements and helps in maintaining the integrity of the structure. And so, if when any new construction work is taking place, you have to ensure that the best roofing contractors like California Creations are handling the job for you. 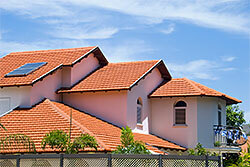 We also undertake roofing work for existing structures and work on residential and commercial projects of every scale. We have the expertise to work on all types of roofing installations and regardless of whether your roof is pitched or flat, we will be able to work on it for you in the most expert manner. We have years of experience in this space and can handle even the largest projects with the highest levels of efficiency. 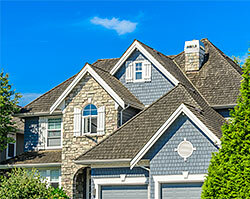 We can also handle small-scale residential roofing projects. In simple words, we are the residential & commercial contractors of choice for hundreds of customers across the region. We have a full-service residential and commercial roofing installation and maintenance division and can handle all types of roofing repairs as well. This goes a long way in reducing the risk of leaks and damage that is caused by ice, wind, leaves and water. We provide you all the associated guarantees for our roofing work and provide you with prompt, efficient and specialized services. All the solutions will be customized to your requirement and we ensure that you have the best roofing material and installation. 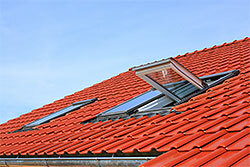 We also recommend to all our residential and commercial customers that they should schedule annual roofing maintenance. As part of this service, we survey the entire roof on a bi-annual basis and check every inch of it for any signs of deterioration or damage. If anything is noticed, we will ensure that you are informed of it and that the issue is fixed to your complete satisfaction. We also ensure that all our roofing materials are sourced from the most reliable vendors in the region and that the best and most skilled and well-trained roofing installers are deployed for the job. Our on-site supervisors ensure that all the work is carried out as scheduled and that all the personnel work in a professional manner. If you are looking for the best roofing solutions in and around San Fernando, Santa Clarita, Simi Valley, 818-083-1213 is the number to call. You can contact California Creations via this online form.